An 85-year-old man was admitted to an acute care facility after suffering a stroke. Despite his advanced age and history of progressive dementia, his family never prepared documents that addressed advance care planning, which would have designated a surrogate decision maker and indicated his wishes for his end-of-life healthcare. Before his hospitalization, the patient was living with the youngest of his three adult children, the only daughter. A swallow evaluation by a speech pathologist indicated severe dysphagia. The speech pathologist recommended discontinuing oral feedings and starting the patient on tube feeding. The physician requested that an RD perform a nutrition consultation to initiate a nasogastric tube feeding and progress the feeding to meet the patient’s nutrient needs. After the RD reviewed the patient’s medical record and consulted with the RN, the dietitian discussed plans for the tube feeding with the patient’s daughter at her father’s bedside. The RD verbally presented information about the tube feeding and provided written information to ensure health literacy, asking the daughter to reiterate and demonstrate what was discussed—a communication technique called the teach-back method. During this exchange, the daughter indicated that her father never wanted a feeding tube or other medical therapies that would prevent him from enjoying simple daily activities. The daughter said her brothers wanted their father to receive nutrition through tubes and all other medical therapies needed to prolong his life. They were adamant that “everything be done” to extend their father’s life, from a feeding tube to a ventilator to cardiopulmonary resuscitation. This potential conflict between siblings is all too common when dealing with end-of-life healthcare decisions, commonly known as ethical dilemmas. This article will discuss this common occurrence, the importance of discussing end-of-life healthcare issues with patients and family members while honoring patients’ wishes, strategies to prevent conflict, and the RD’s role in ethical decision making in the context of enteral and parenteral nutrition. The above case study is an example of inadequate family communication without written documentation about end-of-life healthcare wishes. Without documents for advance care planning in a patient’s healthcare record, the clinical ethical dilemma—a difficult problem involving moral conflicts for which there seems to be no satisfactory solution—is now set in motion. This can result in the patient receiving medical treatments that go against his or her wishes and family members making decisions without the individual’s input. Yet the goal of any healthcare team is to provide appropriate and effective patient-centered care based on the individual’s wishes. From the team members’ perspective, they should deliver medically appropriate treatment using evidence-based medicine and assess the benefits and risks/burdens involved. And they should adhere to their institution’s policies and procedures for ethical decision making regarding artificial nutrition.1 Such care is difficult to provide in the case presented due to the clinical ethical dilemma of family members in conflict with the patient’s wishes. The dietitian’s understanding of cultural and religious diversity is necessary to best meet the needs of a heterogeneous patient population. Diversity awareness gives the RD the ability to tailor information to patients, families, and significant others, and promote understanding of decision making when dealing with the use of artificial nutrition. And awareness of different cultures and faiths furthers an RD’s understanding of diversity in clinical ethics, which promotes making right choices and decisions in healthcare delivery. The use of evidence-based practice guidelines, such as those from the Academy of Nutrition and Dietetics (the Academy), is beneficial in providing appropriate patient education information.5 As indicated in the education process with the daughter in the aforementioned case study, the RD was concerned about presenting the information in simple terms due to the issue of health literacy. Health literacy is defined as the degree to which individuals obtain, process, and understand basic health information and services to make appropriate healthcare decisions.6 It involves a range of social, cultural, and individual factors, such as age, education, and race. Dietitians are in the best position to improve ethical decision making for enteral and parenteral nutrition because they can facilitate an interprofessional, collegial approach to whole patient-centered care while delivering nutrition therapies. This approach involves two or more medical professionals working together as a team with a common purpose and commitment, and with mutual respect. The process involves the RD being aware of the role of nutrition as it relates to the physical, emotional, and spiritual needs of the patient, when applicable, and relaying this information to the other healthcare team members. The word “nutrition” connotes a sense of vibrancy and life. The hope is that nutrition, for some patients, will open the door that leads to advance care planning and end-of-life discussions in the hospital setting. 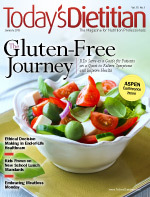 Dietitians already have formed bridges between themselves and other medical fields, for example, through discussions with physicians about optimal placement of small-bowel feeding tubes beyond the ligament of Treitz under specific conditions, and with respiratory therapists about the impact of nutrition substrates on blood gases and pulmonary function. And RDs can learn to incorporate ethics in the decision-making process by integrating clinical ethics into their dietetic practices. They can become knowledgeable about advance care planning terms and learn how to promote conversations about nutrition with patients and their families, which can lead to a transformation in nutrition support practice. Collaboration with the physician, nurse, social worker, chaplain, palliative care team, and other healthcare team members is optimal to facilitate this process. Dietitians who learn more about advance directives, living wills, durable power of attorney for healthcare (a legal document in which a competent person gives another person the power to make healthcare decisions for him or her if unable to make those decisions personally), and physician orders for life-sustaining treatment have an advantage in understanding documents in the patient’s medical record. One way to promote conversations about nutrition therapy with families is to learn about cue-based patient/family discussion. This involves listening for specific key words or trigger phrases from a patient or family member expressing he or she doesn’t want a particular therapy, such as a feeding tube. RDs can use this response to begin cue-based discussions about quality-of-life goals while educating patients and family members about nutrition therapies. To begin, dietitians can tell family members the goal is to provide enteral or parenteral nutrition support based on the patient’s wishes. The sidebar below presents examples of these triggers for cue-based discussion that can lead a patient or family to understand that the focus should be on the patient’s wishes. This process is especially useful when the patient is on a ventilator or unable to communicate. The important concept is that family members or surrogate decision makers must understand that their role is to represent the patient’s wishes and not their own. Based on the cues given by the patient or family, dietitians can refer further discussions to the physician, nurse, social worker, or chaplain. Documenting these referrals in the medical record is essential. The verbal and written interprofessional communication is important to facilitate a consistent healthcare team approach. The primary care physician is the coordinator of the clinical ethics process with the patient, family, and healthcare team. RDs and other healthcare professionals help contribute to the clinical ethics process regarding artificial nutrition. The second step for healthcare institutions involves implementing the policies and procedures needed to improve communication among patients, families, and healthcare providers regarding clinical ethics and nutrition therapies. To sustain improvements in practice, the facility needs to standardize a proactive, integrated, systematic process that focuses on patient-centered care and communication. To engage the public in end-of-life healthcare conversations, healthcare professionals must educate themselves about the process and become aware of resources and tools available (see sidebar below). Perhaps if RDs and other healthcare team members embrace these conversations in their professional and personal lives, the public will become more engaged in end-of-life healthcare discussions. Recognizing the importance of communication in families and acting on these discussions is the best way to prevent clinical ethics dilemmas and provide whole patient-centered care in the hospital. In the future, the goal will be for everyone to have advance care planning discussions with their family and written documentation before an illness develops and hospitalization follows. Dietitians are essential healthcare team members involved in clinical ethics due to their role in the optimal use of enteral and parenteral nutrition—and they can make a difference. — Denise Baird Schwartz, MS, RD, FADA, CNSC, is the nutrition support coordinator at Providence Saint Joseph Medical Center in Burbank, California, and has been recognized both nationally and internationally as a speaker on nutrition support topics for the critically ill.
• Patient/family are healthcare team members. • Patient-/person-centered healthcare is based on patient wishes. • The family expresses what the patient would want. • Family/surrogate decision maker’s role is to represent the patient’s wishes, not their own. • National Healthcare Decisions Day (www.nhdd.org): Held annually on April 16, the goal of this day is to inspire, educate, and empower the public and healthcare providers regarding the importance of advance care planning. Resources for activities to promote this day are available on the website. • Speak Up Campaign (www.advancecareplanning.ca): This campaign is designed to promote advance care planning in Canada. It was developed to raise awareness of the importance of advance care planning and end-of-life care. The website provides a kit with material to promote advance care planning. • Aging With Dignity’s Five Wishes (www.agingwithdignity.org/five-wishes.php): This guide helps start important conversations about end-of-life care. It provides a documentation tool for detailing an individual’s wishes. • Physician Orders for Life-Sustaining Treatment (www.polst.org): This is based on effective communication of patient wishes. It involves documenting medical orders on a brightly colored form and includes a paradigm program to improve the quality of care people receive at the end of life. • The Conversation Project (www.theconversationproject.org): The goal of this project is to have every person’s end-of-life preferences expressed and respected. It includes a starter kit to help initiate conversations with loved ones regarding end-of-life care wishes. • Breathe — a True Story of Letting Go of My Parents Gracefully, For I Will See Them Again (www.breathe-annebland.com): This book is a healthcare professional’s personal story intended to help others begin the dialogue with family members about end-of-life care decisions. Personal stories such as this one are intended to help individuals deal with family relationships, faith, and values and are designed for both healthcare professionals and the public. 1. Schwartz DB. Ethical considerations in the critically ill patient. In: Cresci G, ed. Nutritional Therapy for the Critically Ill Patient: A Guide to Practice. 2nd ed. Boca Raton, FL: Taylor & Francis; 2013 (in press). 2. Preedy VR, ed. Diet and Nutrition in Palliative Care. Boca Raton, FL: CRC Press; 2011. 3. Barry MJ, Edgman-Levitan S. Shared decision making ─ the pinnacle of patient-centered care. N Engl J Med. 2012;366(9):780-781. 4. Reuben DB, Tinetti ME. Goal-oriented patient care ─ an alternative health outcomes paradigm. N Engl J Med. 2012;366(9):777-779. 5. Gallagher-Allred CR. Communication and education for families dealing with end-of-life decisions. J Acad Nutr Diet. 2012;112(2):309-310. 6. Carbone ET, Zoellner JM. Nutrition and health literacy: a systematic review to inform nutrition research and practice. J Acad Nutr Diet. 2012;112(2):254-265. 7. Weiss BD. Health Literacy and Patient Safety: Help Patients Understand. 2nd ed. Chicago, IL: American Medical Association Foundation; 2007. 8. Gabriel SE, Normand SL. Getting the methods right ─ the foundation of patient-centered outcomes research. N Engl J Med. 2012;367(9):787-790. 9. Epstein EG. Preventive ethics in the intensive care unit. Am Assoc Crit Care Nurs. 2012;23(12):217-224. 10. Barrocas A, Geppert C, Durfee SM, et al. A.S.P.E.N. ethics position paper. Nutr Clinc Prac. 2010;25(6):672-679. 11. O’Sullivan Maillet J. Position of the American Dietetic Association: ethical and legal issues in nutrition, hydration, and feeding. J Am Diet Assoc. 2008;108(5):873-882. 12. Geppert CMA, Barrocas A, Schwartz DB. Ethics and law. In: Mueller C, McClave SA, Schwartz DB, Kovacevich D, Miller SJ, eds. The A.S.P.E.N. Adult Nutrition Support Core Curriculum. 2nd ed. Springfield, MD: American Society for Parenteral and Enteral Nutrition; 2012: 656-676. 13. Schwartz DB. Three steps for improving end-of-life nutrition care. Clinical Nutrition Insight. 2012;38(10):4-5. 14. Schwartz DB. Clinical ethics and nutrition support. J Nutr Therapeutics. 2012;1(1):86-90.